This overfill alarm provides a remote audible alarm via output relays for alarm conditions identified by TLS monitoring systems. This Overfill Alarm Acknowledgement Switch allows an operator to remotely turn off the audible alarm on the Overfill Alarm system. Veeder-Root 329356-002 Four-Input Probe Interface Module. Veeder-Root 329356-002 is a Module, Four-Input Probe Interface (Max 4/TLS-350, TLS-350PLUS, TLS-350R. Incl. terminal connect. for 1 ground temp thermistor for volumetric line leak detector). Veeder-Root 329356-004 is 8 Input Smart Sensor Module is the lower compartment for smart Mag/Vacuum. This 8 Input Interstitial/Liquid Sensor Interface Module is for use with series 7943 Interstitial sensors for Fiberglass Tanks and Liquid Sensor for Steel Tanks. This 4 Relay Output Interface Module is for the TLS-350 series console. This RS-232 Interface Module is a communication compartment for the TLS-350 series console. 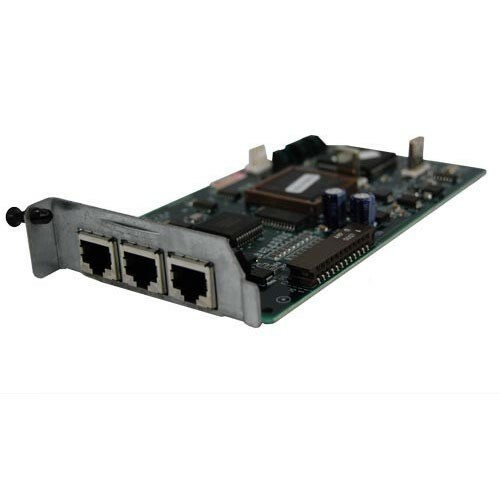 This SiteFax 300/1200/2400-Baud Fax/Modem Interface Modules is for the TLS-350R. This 3-Output Pressurized Line Leak Controller Interface Module is the high power compartment for TLS-350 Plus systems. This Gilbarco Dispenser Interface Module is for use with the TLS-350R series, the Gilbarco TS-1000, TCR-G, T-11, T-12, AutoGas Storemaster, and any POS system using Gilbarco pump access module. This 6-Input Pressurized Line Leak Interface Module is the low power compartment for TLS-350 and TLS-350R systems. This TLS-350R Gilbarco G-Site Dispenser Interface Module Installation Kit provides hardware and 100' cable to interconnect the TLS-350R to the POS systems. 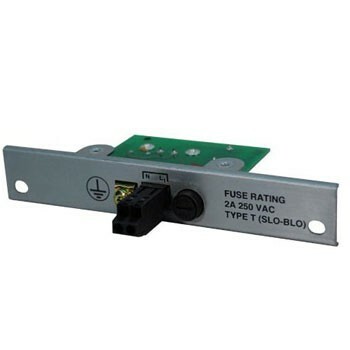 This 120 volt AC Input Module is for the TLS-350 and TLS-350R. This is a wireless pressurized line leak detection communications module without swiftcheck. This is a wireless pressurized line leak detection communications module with swiftcheck. This 5' Mag Sump Sensor Replacement Cable to Transmitter is one of a kit for the MAG plus probe installation kits. This Swiftcheck Valve installs in the pumps mechanical leak detector port for Pressurized Line Leak Detection System. 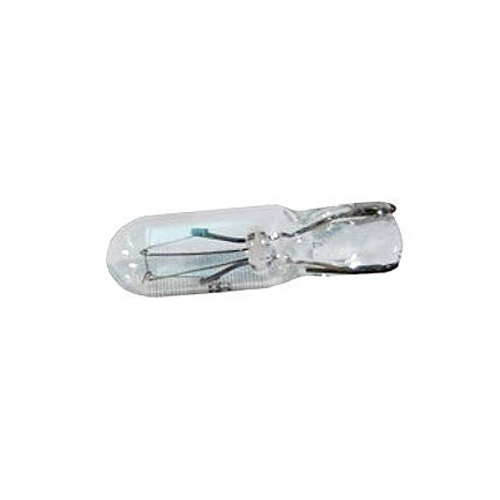 This 12 volt Light Bulb is a display lamp for TLS-350. This 4" Standard Gas Mag Probe Float Kit is used for gas fuels. 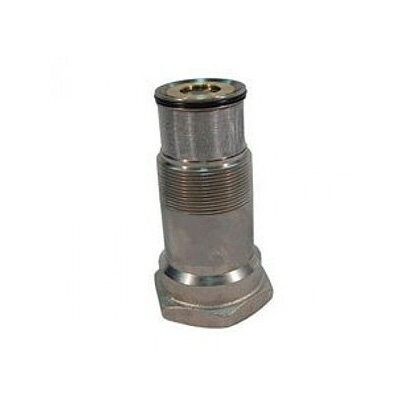 This 4" Standard Diesel Mag Probe Float Kit is used for diesel fuels. This 4" Standard Light Oil Mag Probe Float Kit is used for light oil fuels. Veeder Root 0846000-030 is a EMR3 DataLink Office Kit for use with EMR³ Interconnect Box and the Office Computer. XTend 900 MHZ Modem, approved for use in the Americas. 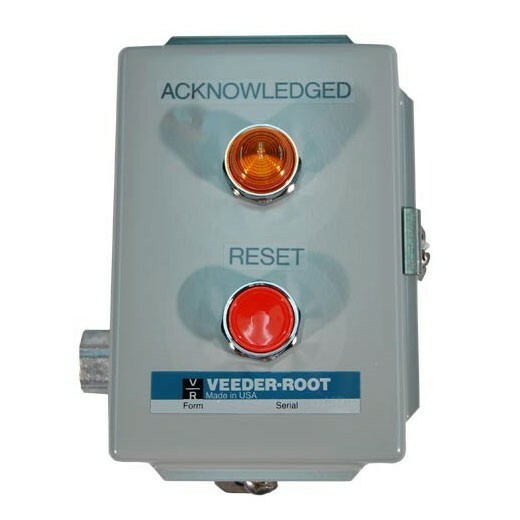 Veeder Root 0846000-031 is a EMR3 DataLink Truck Kit for use with EMR³ Interconnect Box and the Office Computer. XTend 900 MHZ Modem with keypad, approved for use in the Americas. 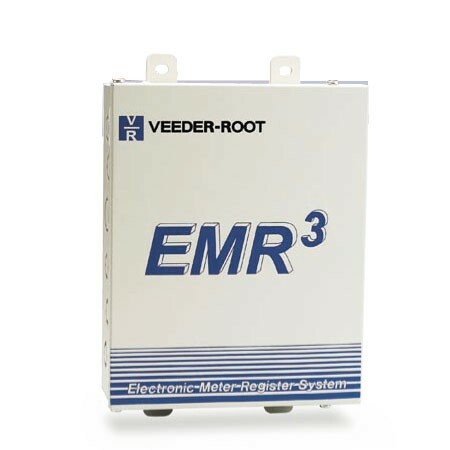 Veeder Root 0846000-032 is a EMR3 DataLink Truck Kit for use with EMR³ Interconnect Box and the Office Computer. 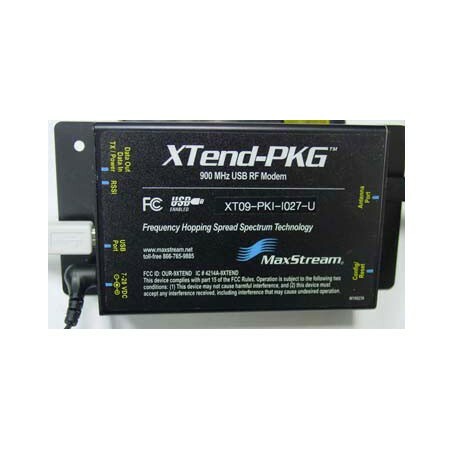 XTend 900 MHZ Modem, approved for use in the Americas. Veeder Root 0846000-033 Optional High Gain Antenna Kit for use with EMR3 electronic meter-register system, approved for use in the Americas. Veeder Root 0846000-037 DataLink Kit is for displaying and storing TLS Tank Level Information, approved for use in the Americas. Veeder Root 0846000-038 DataLink Kit is for direct serial connections to a PC from EMR Interconnect Box Network, approved for use in the Americas. 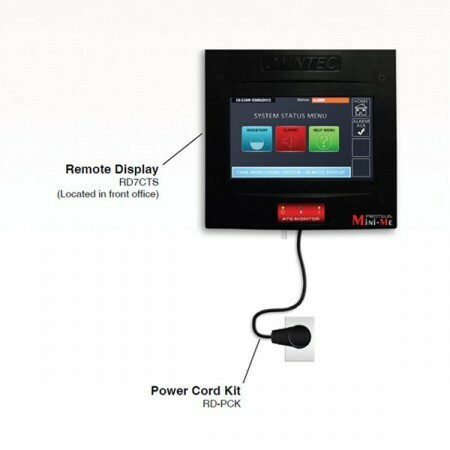 Omntec RD-PCK is a Power Cord Kit for use with Omntec RD7CTS Mini-Me PROTEUS remote displays. Omntec RD-232C-75 is a 75 feet RS232 cable for use with Omntec RD7CTS Mini-Me PROTEUS remote displays. Omntec BX-UT is a Universal translator - adapter for non-BX sensors. The AD-8-1 is an automatic programmable speech dialer with multiple alarm inputs. It is designed for verbal reporting of two separate events, one message per input. Omntec AM-LED is an Amber Replacement LED Light. Omntec BNF-4 is a 4" Buna Float. Omntec HRN-2 is the Horn Board for the LU series Console. Must specify which console you have. Omntec KP-20B3L1D is a Keypad w/ LCD. of OEL8000. 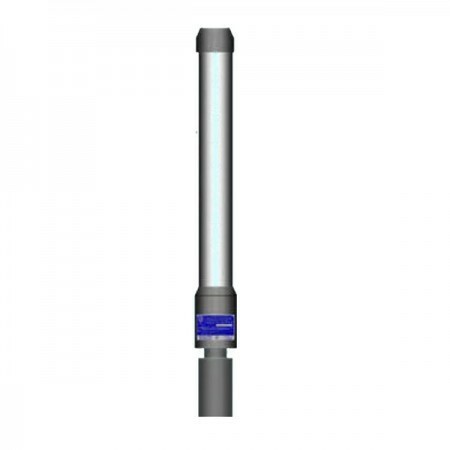 Omntec LF-1 is a Single Point Float Sensor, 12" standard length. Omntec MB-8T44LS is a Tank Motherboard for OEL8000II 8 . Omntec MDR-2 is a 14,400-baud Fax / Modem for OEL8000II. Omntec PS-102 is a 36 character thermal Printer for OEL8000II. Omntec RD-LED is a Red Alarm Replacement LED Bulb. Omntec WRS-232R is a Wireless RS-232 "Extended Reach" Repeater. Omntec YCBL6-MTG is a 6' Yellow Communications Cable for MTG Probe. Omntec YCBL12-MTG is a 12' Yellow Communications Cable for MTG Probe. Omntec 2IN-CAP is a 2" Cap for MTG probe and sensors. Omntec 4IN-CAP is a 4" Cap for MTG probe and sensors. Omntec DC-RP-12 DataCheck™ Repeater is a microprocessor-controlled transceiver which identifies signals from DataStik™ FillCheck® DataCheck™ transmitters and re-broadcasts those signals at full power. 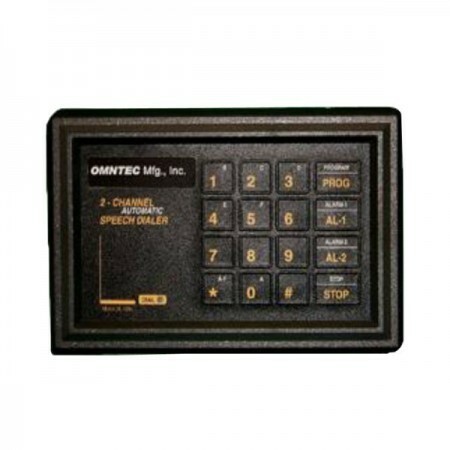 Omntec DC-RX-SR-O DataCheck™ Serial Receiver receives transmissions from FillCheck® or DataCheck™ transmitters and converts this information into a serial data which can be monitored and interpreted by the user’s computer or other microprocessor device. 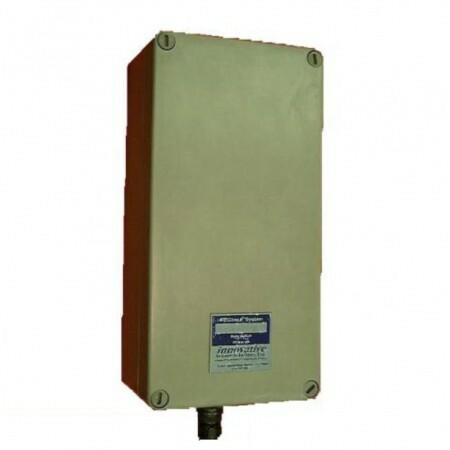 Omntec DC-TX-D1 is a discrete safe transmitter. Omntec ENC-4X is a Fiberglass Hinged Cover Type 4X Enclosure for the OEL8000II. 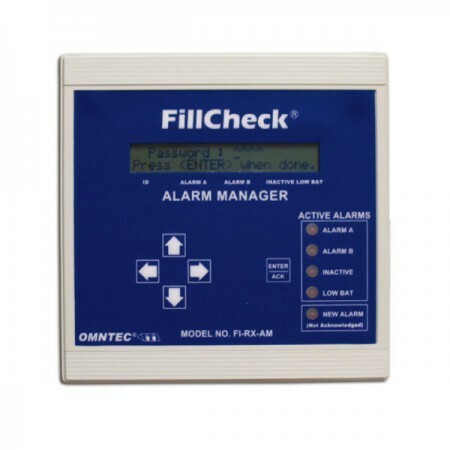 The FillCheck Alarm Manager is a full-featured alarm logic controller, provides a simple and convenient user interface for OMNTEC’s discrete intrinsically safe transmitters (DC-TX-D1). Omntec IB-12V is a 12VDC low-voltage output board. Omntec IB-C420-4 4-20MA is an interface board for up to 4 tanks. Omntec IB-RAS is an interface board for the RAS audio/visual remote annunciator. Accepts multiple remotes. Omntec IB-RB2 is an Interface Board, relay card with (4) 5 amp SPDT relays (6 card max per system. 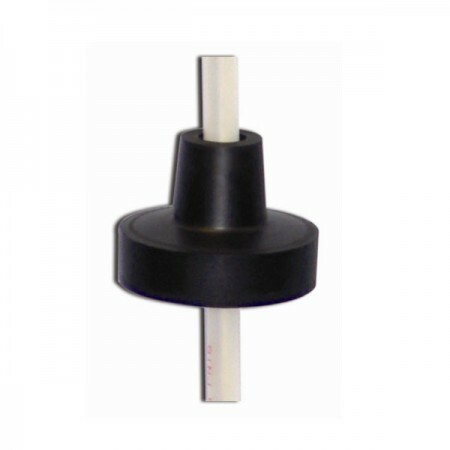 Omntec LSF Universal Sump Float Sensor It is designed to detect liquids in piping and dispenser sumps. Interfaces with most control panels. 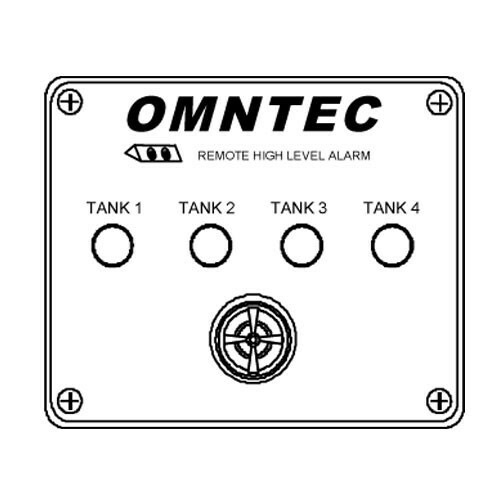 Omntec RA-1 is an One Tank High Level Remote Annunciator. The OMNTEC's RA-series remote annunciators are compatible with LU and LPD controllers. Omntec RA-1-NYS is an One Tank High Level Remote Annunciator with Strobe. The OMNTEC's RA-series remote annunciators are compatible with LU and LPD controllers. Omntec RA-2 is a Two Tank High Level Remote Annunciator. The OMNTEC's RA-series remote annunciators are compatible with LU and LPD controllers. 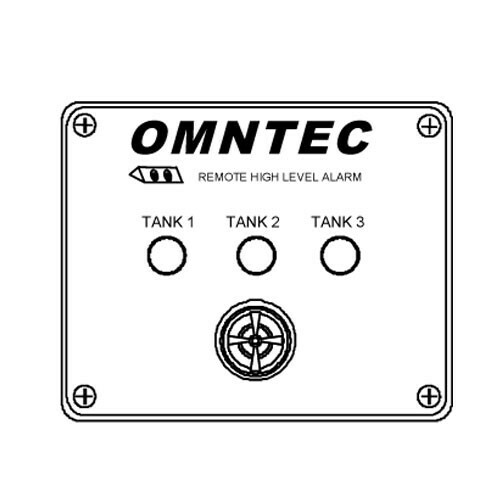 Omntec RA-3 is an Three Tank High Level Remote Annunciator. The OMNTEC's RA-series remote annunciators are compatible with LU and LPD controllers. Omntec RA-4 is a Four Tank High Level Remote Annunciator. The OMNTEC's RA-series remote annunciators are compatible with LU and LPD controllers. Omntec RA-6 is a Six Tank High Level Remote Annunciator. 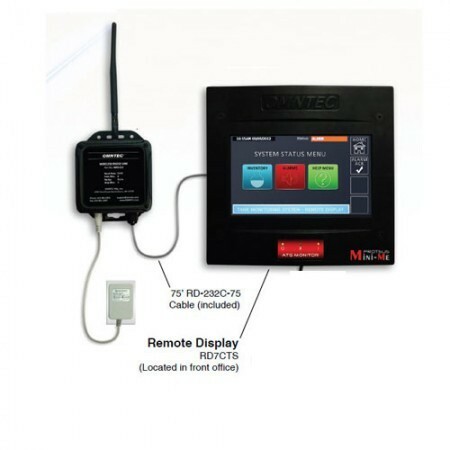 The OMNTEC's RA-series remote annunciators are compatible with LU and LPD controllers. 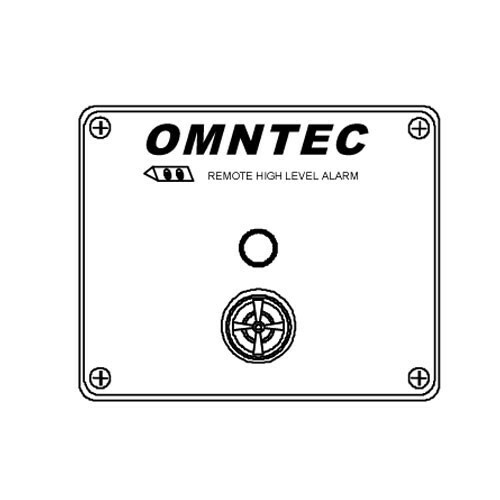 Omntec RAS-1 is an One Tank High Level Remote Annunciator with acnowledge switch for use with the OEL8000II and K-Kits. RAS Series Annunciators are audio/visual remote alarm systems that can be mounted outdoors and in remote locations to ensure faster response to alarms. Omntec RAS-2 is a Two Tank High Level Remote Annunciator with acknowledge switch for use with the OEL8000II and K-Kits . RAS Series Annunciators are audio/visual remote alarm systems that can be mounted outdoors and in remote locations to ensure faster response to alarms. 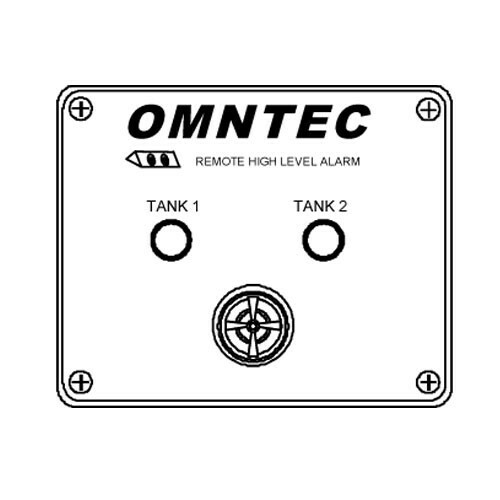 Omntec RAS-3 is a Three Tank High Level Remote Annunciator with acnowledge switch for use with the OEL8000II and K-Kits . RAS Series Annunciators are audio/visual remote alarm systems that can be mounted outdoors and in remote locations to ensure faster response to alarms. Omntec RAS-4 is a Four Tank High Level Remote Annunciator with acknowledge switch for use with the OEL8000II and K-Kits . RAS Series Annunciators are audio/visual remote alarm systems that can be mounted outdoors and in remote locations to ensure faster response to alarms. Omntec RAS-5 is a Five Tank High Level Remote Annunciator with acknowledge switch for use with the OEL8000II and K-Kits . RAS Series Annunciators are audio/visual remote alarm systems that can be mounted outdoors and in remote locations to ensure faster response to alarms. Omntec RAS-1-NYS is similar to the RAS-1 except it has a large strobe light (60,000 candle power) and a louder horn (110 dB multi-frequency). For use with the OEL8000II and K-Kits. Omntec RLY-RA-2 is a Remote Relays, Relay(s) - SPDT dry contact(s), rated at 120VAC, 5 amps resistive. Relay(s) housed in a NEMA 4X enclosure. Interfaces with LU and LPD low voltage remote outputs. Omntec RLY-RA-3 is a Remote Relays, Relay(s) - SPDT dry contact(s), rated at 120VAC, 5 amps resistive. Relay(s) housed in a NEMA 4X enclosure. Interfaces with LU and LPD low voltage remote outputs. Omntec RLY-RA-4 is a Remote Relays, Relay(s) - SPDT dry contact(s), rated at 120VAC, 5 amps resistive. Relay(s) housed in a NEMA 4X enclosure. Interfaces with LU and LPD low voltage remote outputs. Omntec RLY-RA-6 is a Remote Relays, Relay(s) - SPDT dry contact(s), rated at 120VAC, 5 amps resistive. Relay(s) housed in a NEMA 4X enclosure. Interfaces with LU and LPD low voltage remote outputs. Omntec SL-34 is a 3/4" Swage Lock. To isolate MTG probe head from chemical vapors in tank. Omntec SSF-2 is a 1.83” Diameter Stainless Steel Float Kit. This kit is an accessory for MTG and Sensor. Omntec SSF-4 is a 3.85” Diameter Stainless Steel Float Kit. This kit is an accessory for MTG and Sensor. Omntec TEM-CS is a Thermostat for the OEL8000II NEMA 4X Enclosure. Omntec VC-1 is a vented 4” riser cap for use with brine filled interstice. 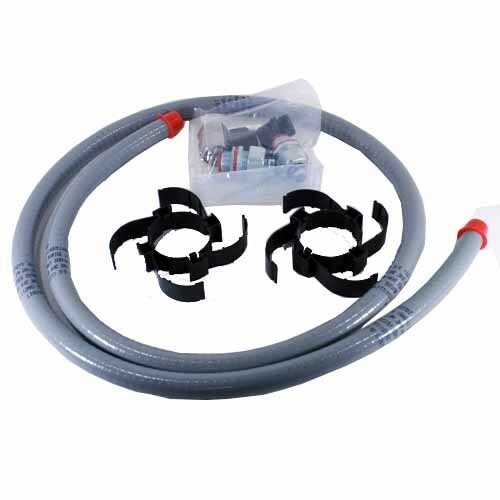 Omntec SK-4 is a Connector Sealing Kit. The OPW 44TA-LLFS 36" Liquid-Level Float Switch Sub-Assembly is used with OPW 144TA AST Liquid Level Tank Alarm. Veeder-Root 330020-425 is an Ethernet TCP/IP Communication Module for TLS-350 Series Consoles. Veeder-Root 331500-308 is an Upgrade Software and New ECPU2 used for TLS-350 Plus, TLS-350R, And TLS-350J series consoles. "Price does not include Core Charge"
The Veeder-Root 576010-695 is a 3.5 Volt Lithium Battery used for TLS 350 system. Veeder-Root 330160-002 is a Continuous Statistical Leak Detection Software Enhancement Module used for TLS-350 Plus system. Veeder-Root 330160-100 is a Business Inventory Reconciliation (BIR) and Variance Analysis (VA) (SEM) Software Enhancement Module used for adding BIR to a TLS-350 or TLS-350 Plus systems. Veeder-Root 330160-060 is a Plus Wireless (WPLLD) Or Pressurized (PLLD) Line Leak Detection Risk Management SEM used for TLS-350. Omntec RLY-RA-1 is a Remote Relays, Relay(s) - SPDT dry contact(s), rated at 120VAC, 5 amps resistive. Relay(s) housed in a NEMA 4X enclosure. Interfaces with LU and LPD low voltage remote outputs. Veeder-Root 333545-001 is application software for TLS-450PLUS tank gauge. ***Application software and one hardware console configuration must be purchased together.